Tuesday 1st December - Entries are open! 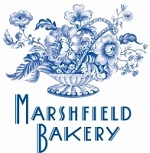 Friday 13th June - Marshfield Bakery to support the Sodbury Sportive - tasty! Tuesday 13th August 2013 - Online Entries close tonight at midnight - Enter Now! Friday 26th July 2013 - Entries up 110% on last year! At this rate we should sell out before the day so don't wait too long before you get your entry in for the Saddleback Sodbury Sportive. Wednesday 12th June 2013 - Toll House Clinic offer support - Great news for returning riders, the Toll House clinic team will be on hand to offer sports massages to help your muscles recover. Thursday 9th May 2013 - Sodbury Sportive offer from Blast - Blast Bikes are offering all Sodbury Sportive entrants 10% of all products in store (except cycle scheme or sale items). Additionally, anyone purchasing an adult Felt bike will get a free bottle cage, bottle and Scicon seat pack (worth £34.99). Wednesday 13th Feb 2013 - The routes are now set for the 2013 Saddleback Sodbury Sportive. Thanks for everyone's feedback and input with the new routes. We think we've come up with some great routes for 2013. The map of each route including a gradient profile is now available from a link on the route details page. More descriptive detail will follow shortly. Wednesday 12th Sept 2012 - The date is set for next years Sodbury Sportive. It will be on the same weekend which is the 18th August 2013. Hopefully the sun will shine on us again. 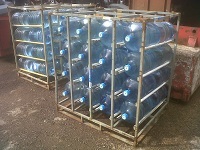 Friday 17th August 2012 - Water arrives from Cotswold Spring. Preparations are going well ready for the weekend. Boxes of food, pallets of water and hundreds of bananas. Everyone knows their jobs and running smoothly. Only thing we can't control is the weather but hopefully the sun will shine. Tuesday 14th August 2012 - Journalist Jennifer Trotman from cyclosport to ride and review the Sodbury Sportive. Jennifer will be doing the 100 mile route. Thursday 9th August 2012 - Some of the U3A group were out yesterday enjoying the sun and to check the course. They rode the 60 mile route and the summary was 'a very enjoyable, if testing circuit'. Wednesday 1st August 2012 - Former Olympian and pro cyclist Philip Bayton to ride the Sodbury Sportive. Philip was a pro cyclist for over 15 years with 42 professional wins and also came close to a medal in the 1972 Olympics in which he came 4th in the road race. Thursday 21st June 2012 - Event HQ to be Chipping Sodbury Rugby Club. Changing rooms and hot showers available at the finish as well as free hot food. The bar will also be open at the finish for those who deserve a pint! Tuesday 12th June 2012 - Information on the routes added to the website and entries are flooding in. Thanks to all the entries so far and if you haven't entered yet enter soon to guarantee your place. Friday 13th April 2012 - Hopefully not a bad omen, Website goes live and entries are open!